I love Jack Reacher, a man with no baggage. I’m not speaking metaphorically; he literally carries only a toothbrush and a wallet. When his clothes are dirty, he throws them away and buys new ones. No ex-girlfriends; actually no immediate relatives at all, Jack is the perfect guy. Well, except for the fact that he’s never home. What makes the enigmatic Jack Reacher and his adventures so readable is the repeated storyline of deceit and malice fomenting in a small town and ensnaring Reacher, an innocent bystander. He then feels compelled to save those in harm’s way and right wrongs until the bad guys are brought to justice. And the end result is Jack Reacher’s justice alone, which is quick and deadly. And then he moves on. 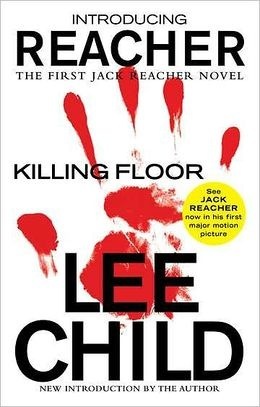 Most people are aware that Jack Reacher is a figment of Lee Child’s imagination (real name Jim Grant). I had the opportunity to meet Lee Child and hear him speak at the 2012 Thrillerfest in New York City. He is witty and humble, and let us in on how Jack Reacher came to be. It is a well-known story that Grant worked in television production in England until, at age 40, he was found to be “redundant” and jettisoned from the job. He had seven months’ savings and decided to write a book in the thriller genre and get it published before his money ran out. He began by reviewing the thrillers on the best seller list, his competition. The protagonists had interesting names, so he chose a simple name, Jack. They were tied to cities and jobs, so he gave Jack the entire United States. They were average-sized individuals, so Jack became 6’5”, 250 lbs, with a 50” chest. They had families and responsibilities, so Jack had none. Then he gave Jack a background in the military to fortify him and sent him out to a small town in Georgia. With the pseudonym of Lee Child, he sent chapters of the partly finished book to a random agent. He heard that it took weeks and even months for an agent to respond. However, the agent responded within days, and requested the balance of the book. Lee Child put the effort into high gear and remarkably at the end of seven months, he had a publishing contract for “The Killing Floor” and a check. Of course a character in a book can’t exist without a great story and excellent writing to propel him forward, and Lee Child has accomplished that in his series of Jack Reacher books. And in today’s reality, where justice seems seldom served and tepidly at best, in the fictional world of Jack Reacher, crimes are solved and absolute justice is meted out to the guilty. Very satisfying to this reader. Pithy and occasionally irreverent, the Oldest Living Middle-Aged Writer (aka Pat Childers) is a student of classic literature, contemporary writers and writing in general. This entry was posted in Blog Post SJ Powers, Creative non-fiction, Fiction, Guest Blog, Writer, Writer's Blog and tagged Fiction, Jack Reacher, Jim Grant, Justice, Lee Child, Thrillerfest. Bookmark the permalink.